Caribbean roast, meet the hungry crowds of Pike/Pine. 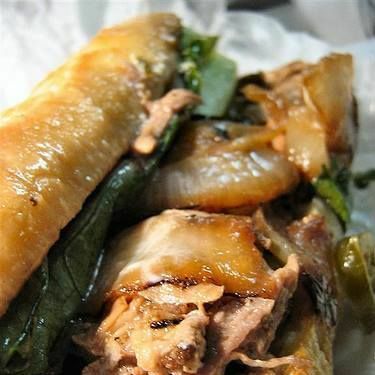 The sandwich that drives the Paseo obsession. One of the city's most culty sandwiches is now available in its most restaurant-obsessed neighborhood. Which is to say, Paseo opened for business this weekend on Capitol Hill. The former home of Pike Street Fish Fry (RIP) at 952 E Pike now has walls painted a cool Caribbean blue, and a new sign in place beneath the giant faux umbrella out front; over the weekend its counter in the nightlife thick of Pike/Pine began dispensing the familiar lineup of roast pork, chicken thigh, and pressed sandwiches, plus various bowls and plates and a steak sandwich you won't find at the SoDo or Fremont locations. Like Pike Street Fish Fry, this Paseo is tiny, but it does have seats. Outdoor seating and booze haven't arrived. Yet. 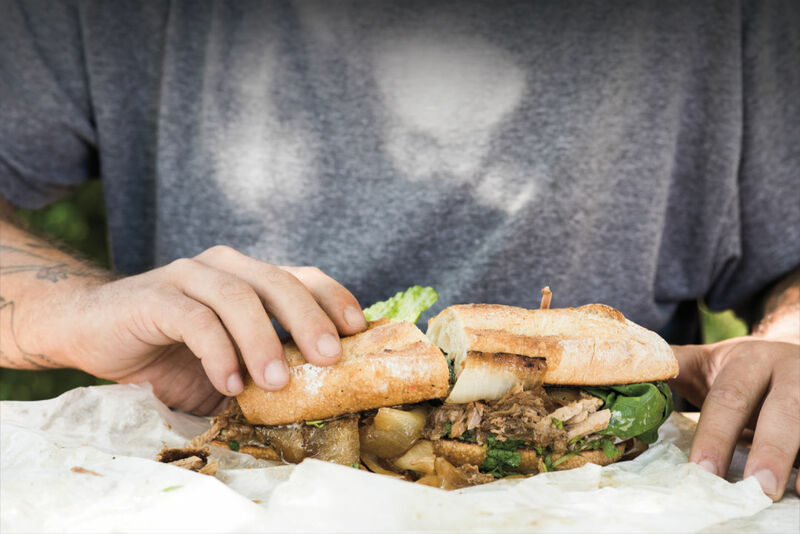 The mega-beloved sandwich shop is now three locations strong, after one of the more memorable sandwich-related dramas to ever unfold in this town. Owner Ryan Santwire tells Capitol Hill Seattle blog he's pretty darn open to adding more Paseos, and that a special late-night menu will happen down the road. Right now things are in soft mode, but Paseo Capitol Hill will serve food seven days a week, opening at 11 with some late night hours (maybe 2am) on weekends, though exact close hours will vary as everyone settles in. Here's the website, which should be updated soon.